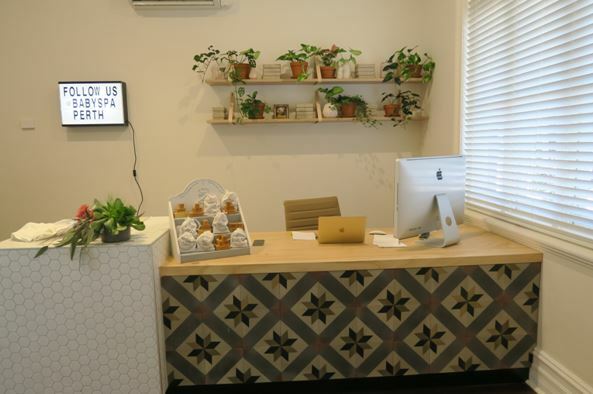 Baby Spa Perth located in Subiaco is the first of its kind to open in Australia. 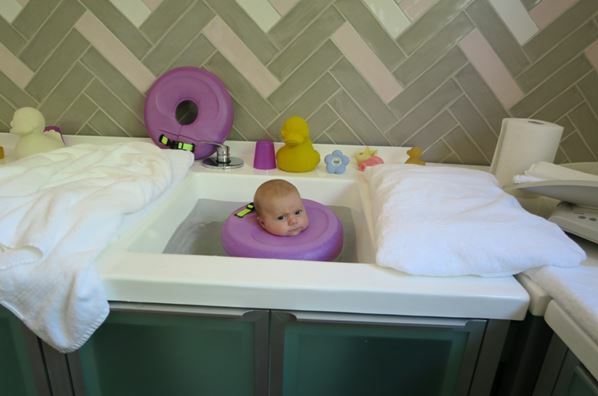 Already popular in London, Baby Spa Perth offers a water immersion hydrotherapy experience in a “pod” combined with a massage, for babies as young as 2 days old up to six months of age. On arrival at the Spa, I was greeted by the lovely co-owner Kavita and shown to the nurture room, where I waited for one of the neonatal pods to be prepared and filled for my 7 week old son. The nurture room is just for Mums, and provides an opportunity to feed your baby in comfortable surroundings and to chat with other Mums. This room has been beautifully styled, which includes bassinets and an offering of water, tea and coffee. To avoid interruption to your hydrotherapy session, it is recommend to feed your baby prior to the session. 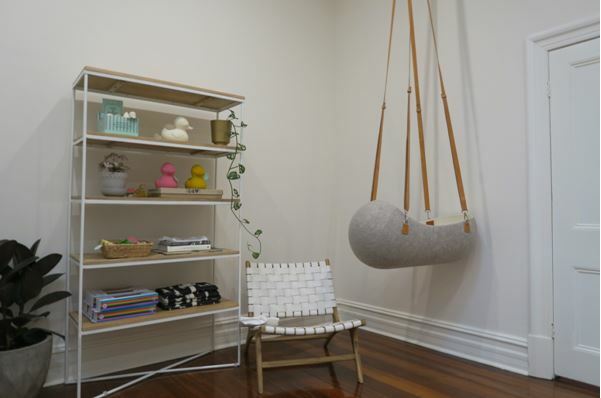 Don’t worry Dads, you are more than welcome at Baby Spa Perth, a special room has been set up for you to chill out in while your partner is in the nurture room. There are two different sized hydrotherapy pods. Individual deep-sink sized pods for 8 weeks and under and the larger shared spa for 8 weeks and over. 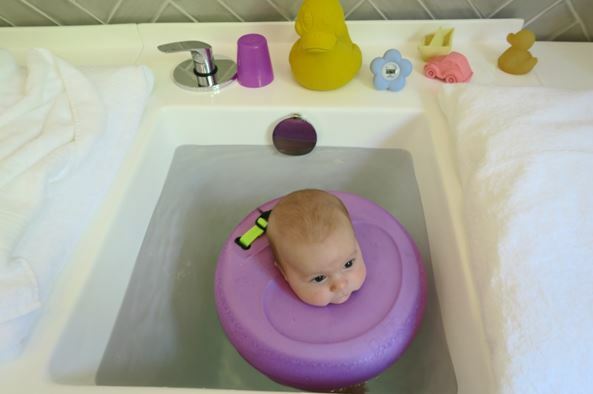 The water immersion experience involves a special floatation device being placed around your baby’s neck. I was initially concerned about the device as it looks uncomfortable and unsafe. 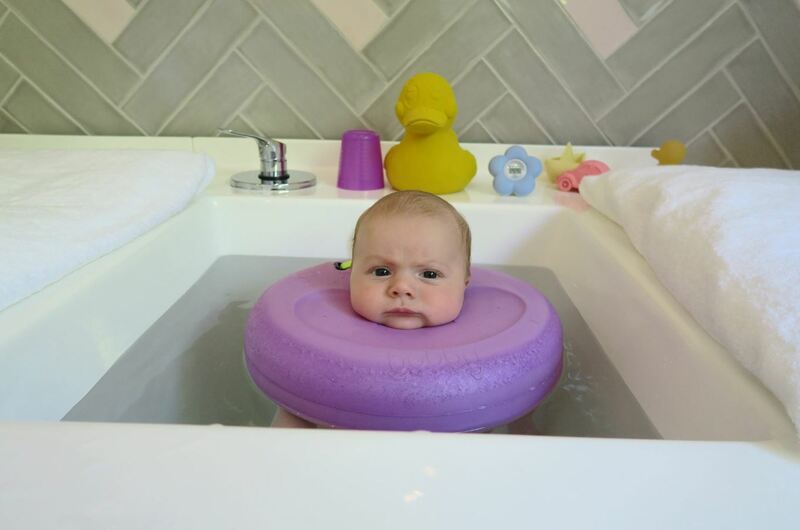 I was assured that the device has been designed to support baby’s chin and back of the head, and with the buoyancy of the water, there is no pressure or drag placed on baby’s neck. 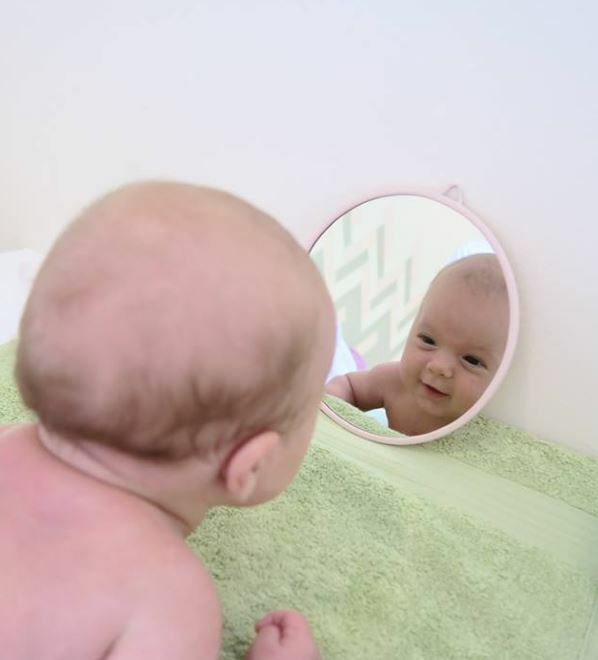 As you can imagine it is quite exhausting for a baby to be so physically and mentally challenged, so your assigned qualified therapist will determine the appropriate length of time for the baby to be in the water. The time will be longer depending on your baby’s age and number of previous visits. My baby at 7 weeks old and on his first visit spent approximately 15 minutes in the water. After the hydrotherapy part of the session my son was treated to a full body massage. He was nothing but smiles for the entire length of the massage. The benefits of massage include soothing irritable babies - encouraging longer and deeper sleep and improving colic and constipation. The staff also give you tips on how to include some simple massage into your baby's bath time routine. 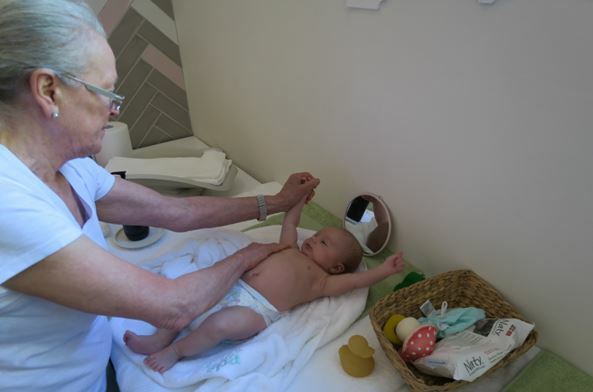 The Baby Spa currently has 3 fully qualified physiotherapists and 2 midwives on staff. 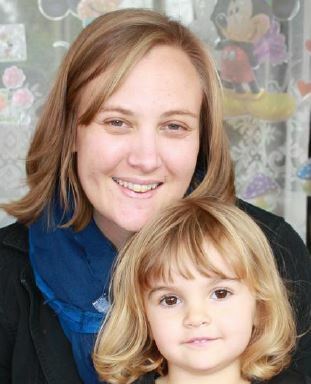 The Midwives are available to answer any questions you may have about your baby. Session times are up to an hour long, and are currently priced at $85 each. Once your session is complete you are welcome to spend as long as you want in the nurture room…all day if you want!